This week, as you might imagine, will be dominated by the 2009 Game Developers Conference. We’ll be on-site all week at our PlayStation.Blog.Lounge, hosting media, hosting developers, hosting you. 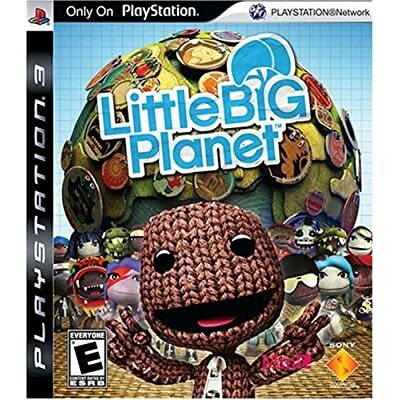 Sack it to Me: The �3 Letter� Edition - LBP, IFC and GDC! This week’s Sack it to Me post is full of interesting flicks, crowns, and LBP invading the Game Developers Conference. Check out some of the details below. While we enjoy carrying good news on these pages, there was much to be excited about from outside sources over the past few days: Ninja Gaiden Sigma 2 confirmed for PS3, Valkyria Chronicles DLC upcoming, and you can now pick up God of War: Chains of Olympus for just 20 bucks. This Week on PlayStation.Blog	— GDC is up next week, but this week you should’ve been trudging through RE5. What do you think? MotorStorm: Pacific Rift �Looking Good!� Photo Competition	— Snap a pic to win a spot in a Pacific Rift loading screen. Hit the post for deets. Gomibako which is trash can in Japanese tests your Tetris skills as well as your recycling skills on the PlayStation 3. You have to load up a trash can with thrown-away crap, one at a time. You're attempting to stack them up such that you don't leave any empty space, and can thus fit a lot more inside. But you can also smash items down into the can, breaking them or breaking the things they land on. Every once in a while, you get a sword that is on fire, and this is how you clear out items from the can. Sticking the fire into a wooden or paper object will set it ablaze, and if you can line up a chain reaction, you can clear out a lot of the crap in your trash can and start again. Eventually, you have to start fitting in really huge items, and this is how you can lose the game -- if your can gets too full and three items fall out, you're done with the level. It�s been a while since we�ve talked about Ratchet & Clank, but we wanted to give you an early scoop on a couple of things happening with everyone�s favorite lombax and robot duo! So, how does it really feel when Cole goes to the dark side? Check out IGN’s article as editor Greg Miller is the first to go hands-on in-depth with inFamous’s in-game Karma system. The world�s first console-based Alternate Reality Game starts today in PlayStation Home. Called Xi , the adventure takes place in a series of secret areas in Home � and beyond � changing day by day, week by week, in real time. Anyone with a PLAYSTATION 3 can join in the fun for free. �Greedings,� everyone. As you may have heard, the new Titan Pack expansion for Unreal Tournament 3 will be available on the PlayStation Store starting tomorrow, and it�s completely free. Today, we are happy to announce that our latest game, Wheel of Fortune, will be released for the PlayStation Network this Thursday, March 19 for $14.99. Hey, racing fans. This is Chris Pate, Global Product Marketing Manager at Logitech for all of our steering controllers. I am happy to announce that we are partnering with Gran Turismo to hold an exciting online racing event, the Logitech Challenge. Resistance: Retribution has only been available for mere hours, but we hope you�ve been practicing! Starting today, there�s more than James Grayson�s life on the line � try $25,000 in Sony prizes. Want to Meet-Up at GDC 2009? During the thick of this year’s Game Developers Conference, we’ve set up an area for bloggers/media to drop by, put their feet up, file their stories, play our new and upcoming games, eat our food, get caffeinated, and chat with some of our top developers. Not bad, right? Fight Night Round 4 is bringing us the boxing match of the ages. Who will win Muhammad Ali or Mike Tyson? 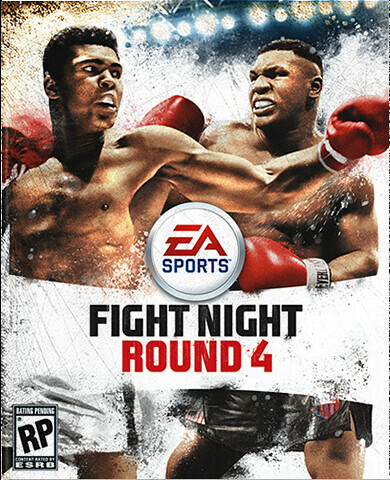 We'll have to wait until this Summer when the Fight Night Round 4 is released. This was the last time we saw Iron Mike on a game console. Thanks for all the great feedback on the trailer. We�ve got some more exclusive new info on inFamous headed your way. Pick up the latest issue of Game Informer, available on newsstands this week, for an extensive hands-on look into the first 6 missions of the game. Resistance: Retribution arrives in stores today and there is a lot going on this week in celebration. First, reviews have begun appearing. Below is a selection of a few that have shown up over the last week including three which have given it Editors Choice Awards! LittleBig Contra is a NeoGAF collaborative project aimed at delivering the definitive Contra experience to LittleBigPlanet. Our goal was to recreate each of the 8 stages of Contra from the NES using the tools available to us in the LittleBigPlanet level editor. Maybe they can tackle Super Mario Brothers next? find out more at NeoGAF. LocoRoco 2: Get Loco on Facebook and More! Even with LocoRoco 2 now available for everyone at stores, we wanted to make sure you knew about all the great fun things you still have access to! Looking at this week’s reading list, what can I say… it’s all about Killzone 2. Personally, I’ve been playing all weekend (with some of you Blog readers, actually), and so is about 90% of my Friends List. In case you’re wondering why, some of the stories we linked out to below will clue you on. The Road to Retribution Begins Now! MyHawk.org - By The Players. For The Players! Back in November we introduced the ability to sign in to PlayStation.com using your PlayStation Network login credentials. Currently you can see your online ID, your avatar, and view your friend list. You also have the ability to get your Portable ID for use on forums and social networking sites. It brings me great pleasure to inform you that yesterday marked the anniversary of a very special day in Patapon history�P-DAY. I have to say it�s kind of scary that the game has released. You may find it fun or you may be disappointed. I hope you enjoy it, and I�m ready for any of your comments. Picking up Your Copy of Killzone 2 Soon? Snap a Pic! Hey, everyone. It�s time again for the weekly PlayStation Store update. It’s already week three of the �PSN Spring Fever� section of the PlayStation Store, featuring games, trailers, and themes available for download! Headlining this week is No Gravity: The Plague of Mind for the PSP! MLB 09 The Show Online Season Leagues and Improvements — Just how impressive is MLB 09? Check out ESPN’s glowing story. Second Killzone 2 Live Chat Coming this Wednesday — Thanks again to Jan-Bart and Geert from Guerrilla for making the second live chat a success. 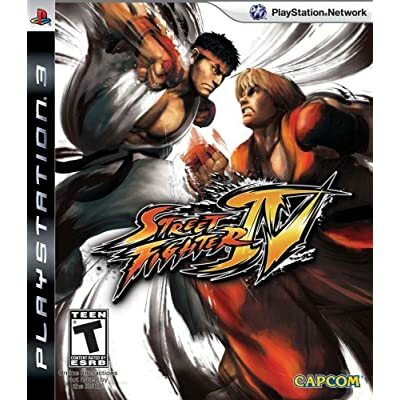 Capcom released their Street Fighter IV Training Manual. Click here and download the SFIV Training Manual. So how do you unlock all the characters in SFIV? Beating the game in Arcade mode with certain characters unlocks new characters. Sakura, Dan, Gen, Fei Long, Cammy, and Rose unlocked. Play Arcade Mode with a character you've already beaten Arcade Mode with. Get the same number of Perfects as the number of your rounds you're playing. e.g. 3 Perfects for 3 rounds per game. Beat Akuma and he will be unlocked. Beat Arcade mode with Akuma. Watch a bit of the ending movie. Play arcade mode with Akuma again. Do not lose a round. Get "First Attack" 5 times. After you beat Seth, Gouken will appear. Beat Gouken and unlock him. In order to unlock Seth, beat the game with all the characters - standard and unlockable. Killzone 2 out today! Guerrilla Games thanks you. Hi again. Here’s your weekly update of the new movies and TV shows available on PlayStation Network. Have a great weekend, everyone!